Madeleines are insanely easy (example here) but you can only eat so many of these sugary treats in a week. 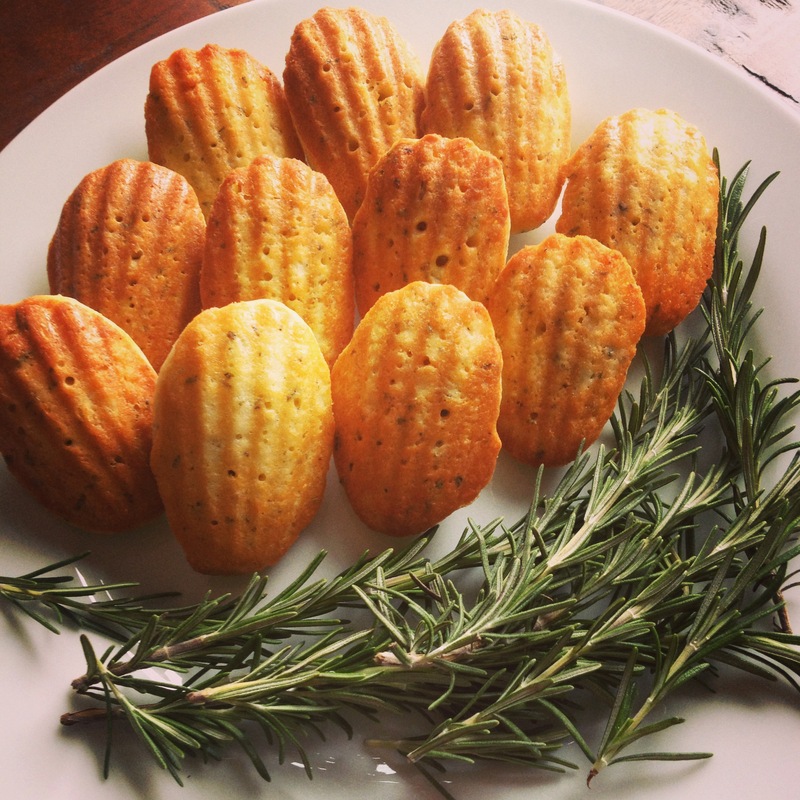 That’s why Parmesan Rosemary Madeleines are a true gift. This is a cookie vehicle for cheese and carbs in classy way. Need I say more. 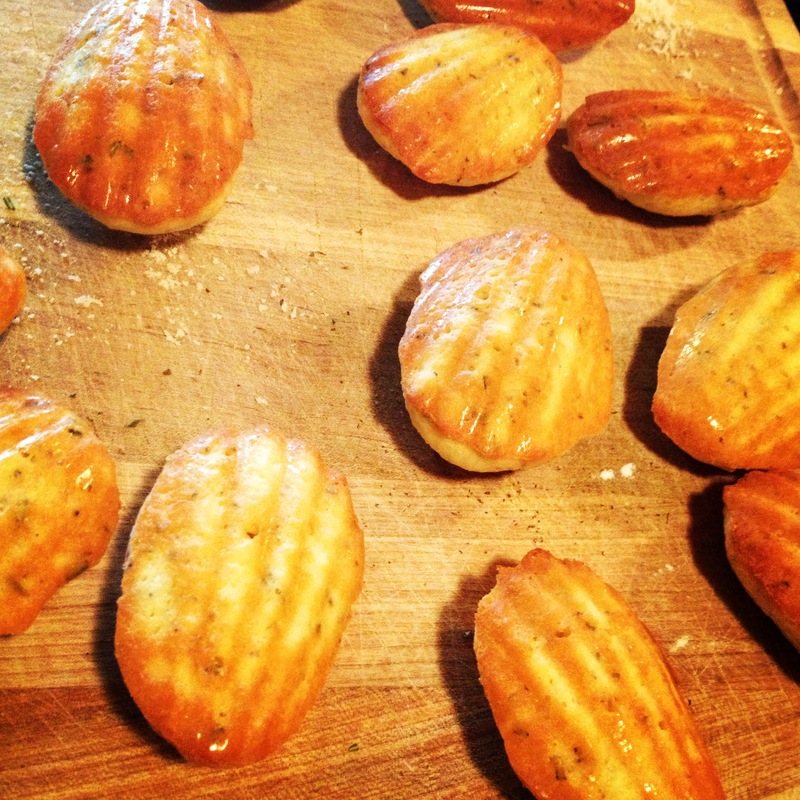 Brush the mold of your Madeleine pan with melted butter. 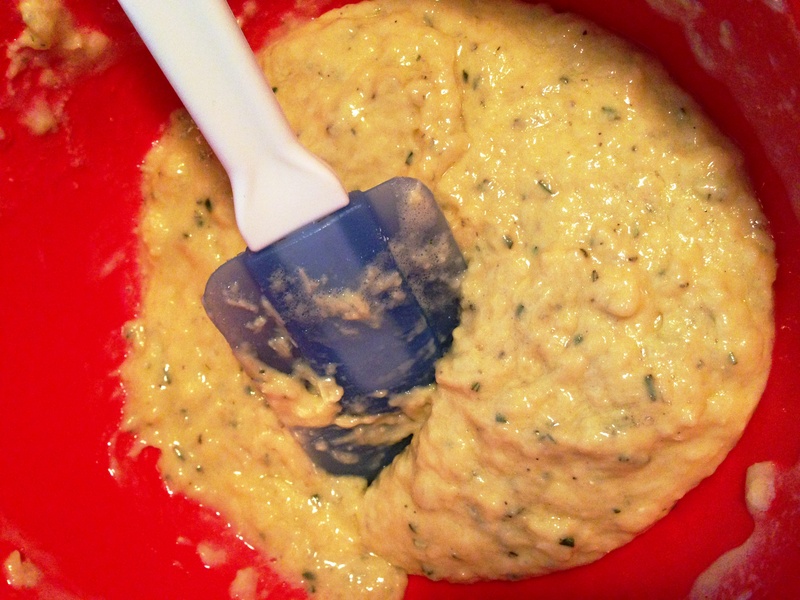 Mix the flour, rosemary, salt and pepper in a mixing bowl. In a separate bowl beat the eggs on high for about 3 minutes. Beat in the sugar. 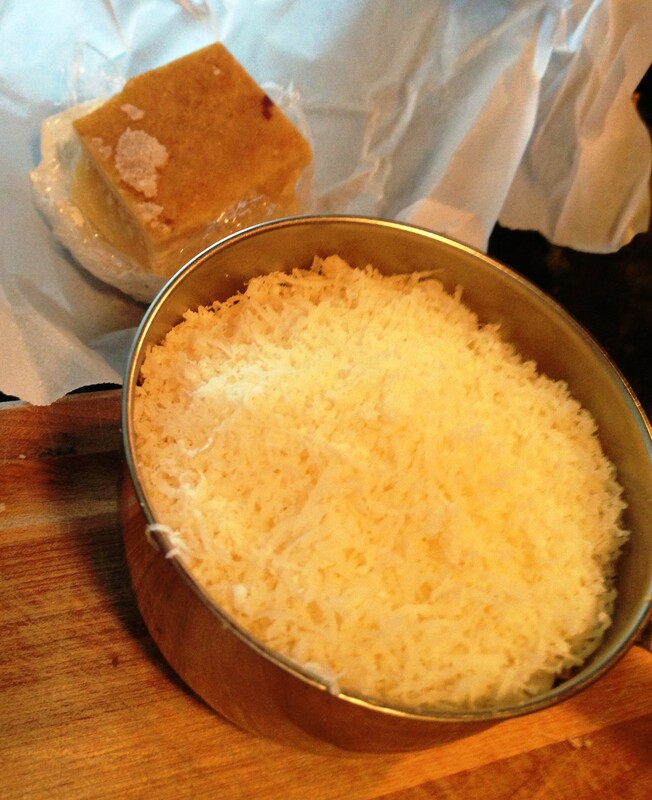 Gently fold in the flour mixture, cheese and 6 tablespoons of butter. Spoon into prepared pan and bake at 375 for 12 minutes. These cheesy puffy piles were part of girl’s night and let me tell you they were well received. Get on this.